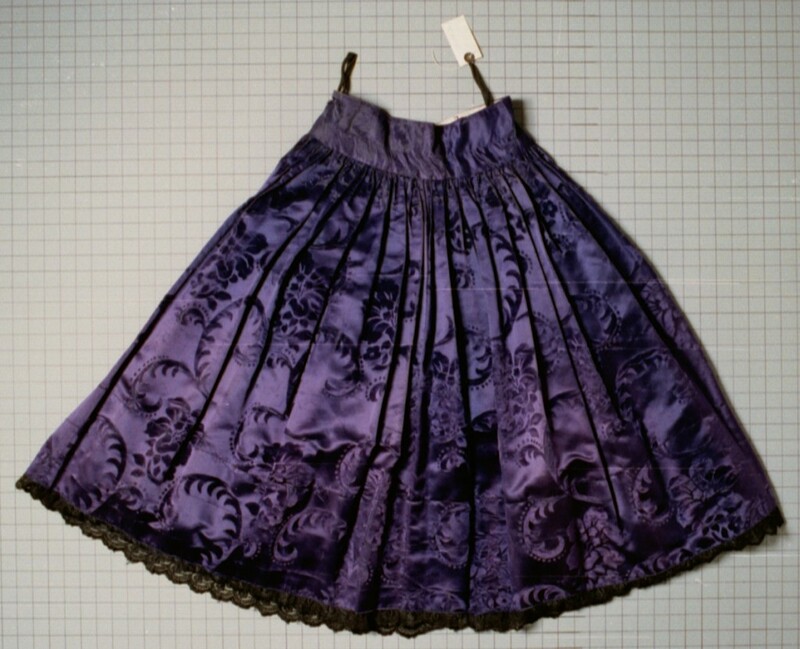 This taffeta and cotton skirt dates from the 1920s. It belonged to a Romani (Gypsy) woman who was born in Frankfurt, Germany, and who lived in Germany before the war. 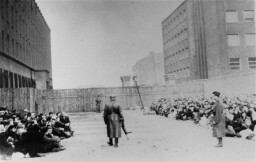 She was arrested by the Nazis and interned in the Auschwitz, Ravensbrück, Mauthausen, and Bergen-Belsen camps. She died in Bergen-Belsen in March 1945, shortly before the camp's liberation. Her husband and two of her six children were also killed in the camps.